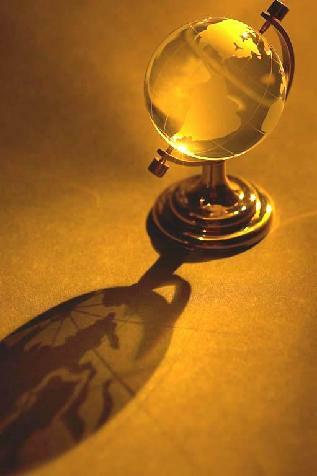 The purpose of this site, is to promote a debate amongst scientists in particular and the public in general, about a revolutionary scientific theory, as to the true origins of our humanity. Further this theory provides a common sense explanation for the function of all the world's religions and a rational explanation for the agenda behind the increasing appearances of UFOs in our skies, especially since 1945. As you may be aware, there are some 25,000 nuclear weapons on this planet. The population has grown some 4.5 billion in the last 65 years, to 7 billion today. The environment is changing, though this is not necessarily for the reasons we are aware of. We are informed by the Bulletin of Atomic scientists, that the Doomsday Clock hands have moved from 7 minutes to midnight to 5 minutes to midnight. We turn to the theory of evolution for an explanation and our hope for the future? Maybe we turn back to God in despair? There must be an explanation, which is both reasonable and acceptable to both camps of thinking. I believe that, this new theory will provide an interface of reason and logic, that will ultimately satisfy both sides, and bring us to a state of peace. This can be obtained for free at www.rael.org in PDF format. All the worlds religions allude indirectly, to people from the sky. However this statement shown above, is for me central to understanding the scientific nature of this new theory. In fact it is central to this new understanding. Once one has this scientific concept in mind, then the original function of all the world religions becomes more understandable . This is against a backdrop of there having been many humanities on this very ancient planet, which have disappeared for the rather self-evident reasons we can see today, namely nuclear war, over population and environmental degradation. Further the planet is indeed very ancient and is a sort of a "living machine." Man is a "disease" of the universe and there are an infinite number of human races "out there". Understanding this new concept , provides a plausible reason why they do not come down and say, take us to your leader. The particular human race that engineered us , are waiting for us to , " connect up the dots". 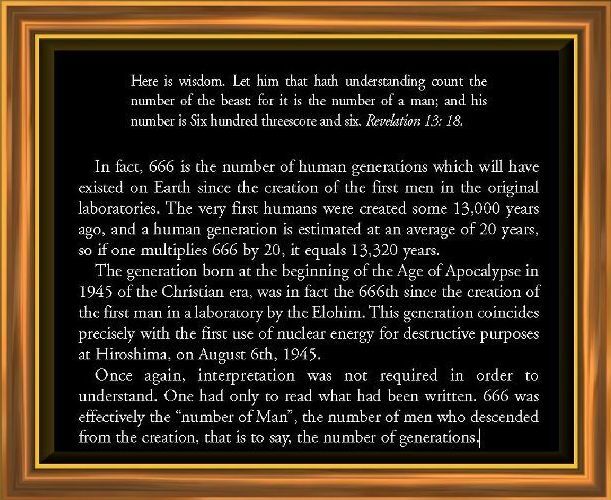 Creation of human races is rather like creating a baby, predictable and repeatable, and with HIROSHIMA in 1945 we coincidentally entered that universally, and scientifically predictable phase in the development of our particular race. If this theory is correct, then this would indeed provide an answer to the current UFO debate.